Developed in a small Malibu boutique frequented by ladies with the means to go anywhere, Reese Witherspoon, Julia Roberts, Charlize Theron and Naomi Watts, Kai brings to life a Hawaiian-inspired line perfume oils, bath and body products featuring a fervently feminine blend of Gardenia wrapped in white exotic floral notes with fresh, green overtones. Kai uses recyclable packaging, is paraben, sulphate free and never tested on animals. Kai's unique scent & hard-to-find status has made it one of the most sought-after fragrances by those in the know. It is infused with hints of Gardenia, white exotic flowers: Jasmine, Tuberose, Lily, & Cucumber essential oils to add a greenness to balance the florals. This clean fresh blend captures the irresistible fragrance of the tropics in all it's sensual femininity. 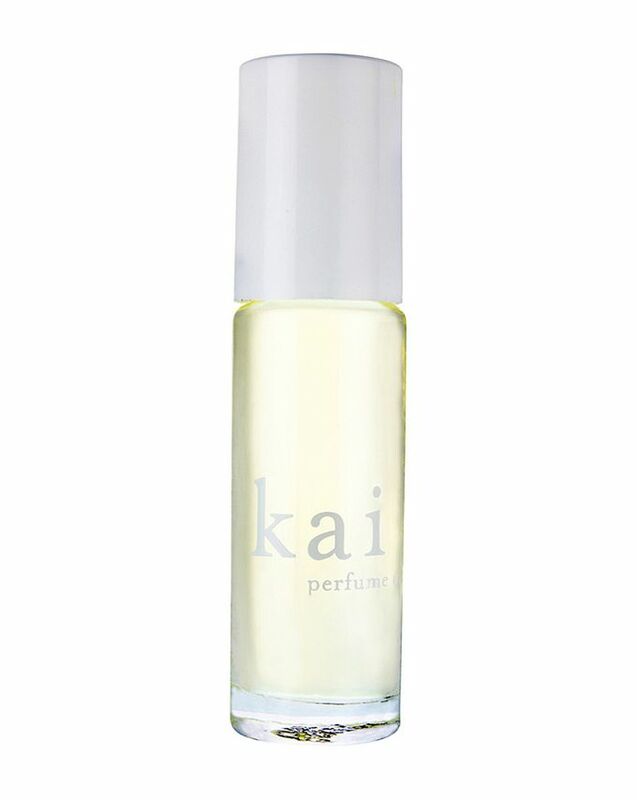 Kai's Perfume Oil is packaged in a convenient and easy to use roll-on vial making it an ideal travel companion. Apply to your pulse points at the base of the throat, wrists, elbows and behind the knees. This will help to diffuse the fragrance and release the beautiful Kai aroma for a long-lasting result. Packaged in a roll-on vial, the scent of Kai is conveniently carried and stored for a quick and easy dabbing anywhere or any time. Real flower scent! This reminds me of when I was a girl and I would pick up flowers to try to make scents at home. The flower smell is very real, some people may find it too botanical because it literally smells like fresh picked flowers. It has that green note additionally to the flower fragrance. I purchased the oil and used it up in 2 weeks! I found myself applying it over a over. I will to try the eau de parfum next time. I have tried both the rose perfume oil and this one and both are utterly delicious. Never do without one or the other from now on. Wears beautifully and is long lasting. You can clearly smell the jasmine top notes and as it wears it gets a little creamier. Love it. The only thing is the size is so small it is easy to lose the vial. I love this scent. It's subtle, slightly sweet (but not too sweet as I cannot wear sweet scents) fresh, zingy and uplifting. I was quite excited about the description and the little roll on that would last ages. I have learnt that it is never good to buy a scent online without trying it out first. I am really disappointed with Kai Perfume Oil. There is a cheap soapy scent that just gets up your nose in this. First I thought I just applied too much, then tried to rub some off. Next day I applied a hint and alas I can still get that cheap soap smell. I so wanted to love this but it is just not nice at all! I've tried this and the rose version, and to be honest, the rose one didn't do it for me. It was meh. But this one is absolutely beautiful. I've had strangers ask me what I'm wearing, and the smell is feminine, subtle, and not as common as your department store-bought perfume so you don't end up smelling like everyone else. I only wish it wasn't roll-on because if you've put anything else on your skin before the oil (lotion, sunscreen, etc. ), it mixes in the bottle and changes the scent. Other than that the smell is divine! I can't stop smelling my wrist. It's mmmmm and does attract comments. Summer love in a bottle. ..... that lasts and has a fresh and exotic smell which is not overpowering but definitely gets you noticed!